After servicing the area for years, and repairing thousands of garage doors, we at Garage Service Pros, feel we can handle any and all repairs that you could possibly have. From minor repairs such as broken hinges, or frayed cables, to more difficult repairs such as broken springs, or door off tracks. 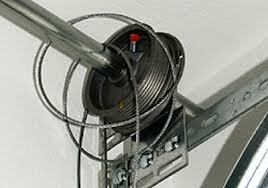 We specialize in all garage door repairs. We posses the right tools and knowledge to be able to fix your problems quickly, and affordably. 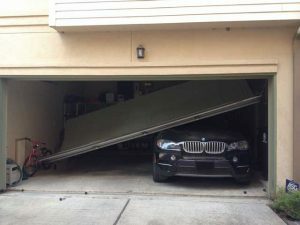 There are several reasons that your garage door may not work properly. If the door is difficult to lift or the garage door opener only lifts the door a few inches before it stops, you probably have a broken spring. 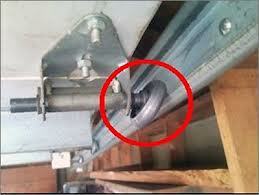 The most common garage door repair is a broken spring. 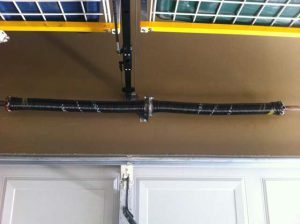 The spring system is by far the most important component to a working garage door. Unfortunately a broken spring usually happens at the most inconvenient time. When it does happen there is not much you can do about it on your own. Fortunately the technicians at Garage Service Pros are on call 24/7 for repairs. All of our springs are backed by GSP certified warranty. Another common garage door repair is to the metal roller, which may make grinding or screeching sounds when it is traveling up and down. We always recommend replacing them with 11 ball bearing, precision nylon rollers. If you do not address the wearable parts on your garage door as they progressively wear down, your door could potentially go off track, put undue strain and damage on your garage door opener or may even cause far more extensive damage to the door and the garage. 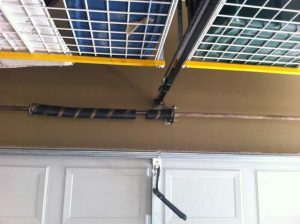 Your garage door may have a cable loose or the door is off track is pretty common. A “door off track” can be accidentally caused by the homeowner. It usually occurs after accidentally shutting the door on an object, like the rear bumper/hatch of your car/SUV. This can also be the outcome of having the garage door opener trying to open the door while the manual lock engaged. Other times, this repair can unfortunately happen on its own. When a door off track occurs on its own, it can be caused by worn out parts on the garage door. At that point, a full door inspection is critical in determining why this occurred, and what parts may need to be replaced to prevent it from happening again. Garage Service Pros are also expert repairmen for broken or frayed cables, damaged panels, and broken hinges. No matter what the problem is, Garage Service Pros, will help get your door back to excellent working condition. We have been servicing the garage door industry for years and we know what is causing your garage door to not work properly. Save yourself the time and hassle and give us a try.